Better patterns, bigger wound channels for max knockdown power. 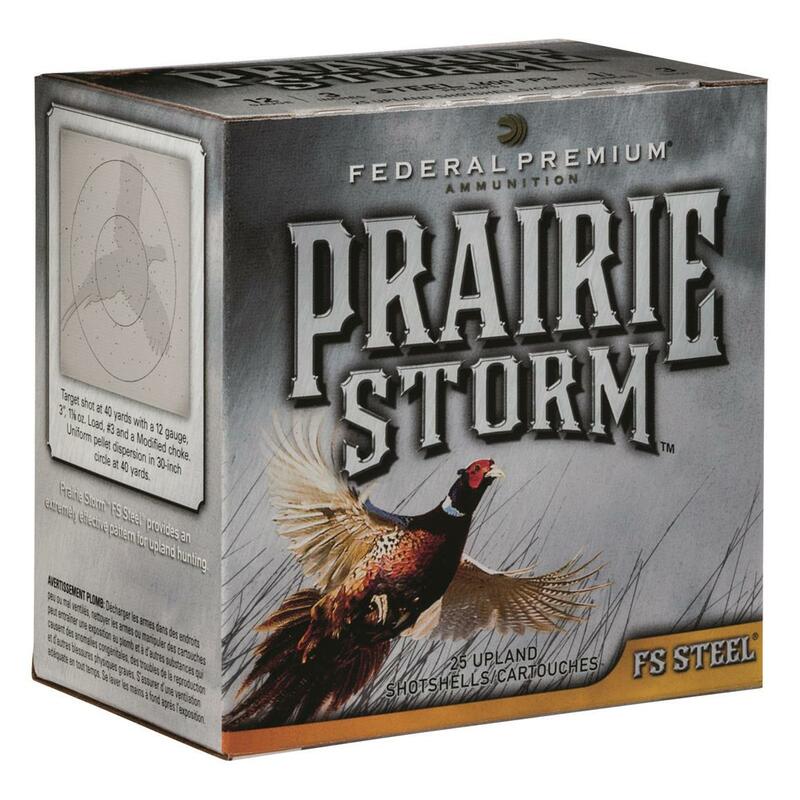 Prairie Storm combines a Flitecontrol® wad and Flitestopper® pellets to create dense patterns for taking on the toughest pheasant. Each shot puts more than 75% of its pellets within a 30" circle at 40 yards, all while delivering similar energy to lead loads.